7 You unrevised my edit on Peepas. 27 Can we be friends? 35 WHAT THE HELL DID YOUD DO? 70 Celery, umm I mean... Salary. 91 Re: Dream Team SFX? Please stop recreating deleted articles on the Super Mario Wiki. This isn't a warning, and it's possible that you made a mistake by accident or without realizing it; this is simply a reminder for your information. If the action continues, then a warning will be issued. Thanks for reading and keep contributing. Please stop speculating on the Super Mario Wiki. This isn't a warning, and it's possible that you made a mistake by accident or without realizing it; this is simply a reminder for your information. If the action continues, then a warning will be issued. Thanks for reading and keep contributing. You unrevised my edit on Peepas. May I ask why? To be honest the way the Peepas spin in circles is nearly exactly the same as the Octoboos, and the only resemblence to the circling boo buddies they had was the circle formation, exception in this case the circle formation is on s 3-d plain instead of going in a circle going up and down on a 2-d plain. Can I put that information back without it being reverted or at least add it alongside the circling boo buddies fact. I don't want to argue I just want a valid reason why I can't put that information there. The preceding unsigned comment was added by Landfish7 (talk). You're the only one so far who actually gives reactions about it on my talk page. I don't like it that nobody cares about the stuff. And you've given me an idea! I'll add Lakitu too! This user is friends with Toad'ShyGuy. 90px Well here it is. Now I want 25 coins please. 30px This user Is a friend of Superfiremario! File:ToadikoYakumanDS.gif This user is friends with the MagicalToadette! Please stop Failure to mark minor edits as minor on the Super Mario Wiki. This isn't a warning, and it's possible that you made a mistake by accident or without realizing it; this is simply a reminder for your information. If the action continues, then a warning will be issued. Thanks for reading and keep contributing. Oh man, thank you, you are so cutie!!! Of course, we can be friends! Here, take our code! This user is friends with Super Candy. Congratulations! You earned a Cookie! My user name is MarioManiac164 and Yoshi is probably my favorite character. I'll make a UserBox later. Thank you, we loved it!!! Hey, we wanna buy the "A wind-up Princess Peach action figure. ", *-* omg, it's so cute! We are deciding in what we gonna spend the another , but when we decide, we'll gonna tell you! Thaaaannks! We gonna be happy to get the Peach toy! Here! Take this gift for you! Oh, and how 'bout: 70px POW Block-Defeats all enemies nearby. Wing Cap-A cap that allows you to fly for a limited time. And: Mystery Item-In the mood for a surprise? May be any item at this shop. 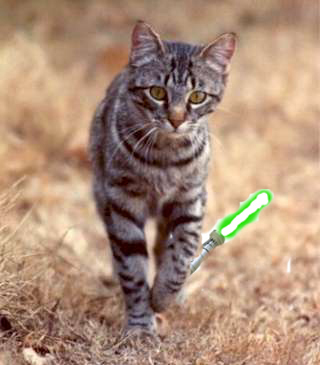 The preceding unsigned comment was added by MarioManiac164 (talk). Yes, I have more; Statue Leaf-Allows you to become a statue who can't be hurt by enemies. 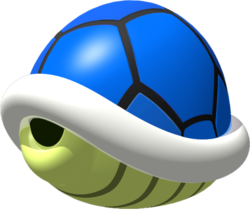 Blue Shell-A rather rare shell that can turn you into a Koopa Troopa. Anchor-Allows airships to stay in one place. I would like to buy the free mystery box. I'll start with one, but here's an item proposal. Oh, and another item: P-Wing-Acts like a Super Leaf, but until a level is beaten you will have infinite flight. WHAT THE HELL DID YOUD DO? Yu Gotta Check it with me or move it back, CHOOSE. Thanks for the cash! I'll be saving it up. Thank you! I could seriously make money on this. I think I should leave it at that for now. I've got more suggestions if you want. If this is bothering you just ask me to stop, it's okay. Can we be freinds. P.s You should sell mini/mega mushrooms.World 6 (talk) 01:11, 21 September 2012 (EDT) Whoops, you already sell those. But maybe you could sell: Figures of Mario. Boomerang Flower: Will let you throw boomerangs. Mega Mushroom: Will turn you into a giant for a limited time. Blue Shell: A rather rare Koopa shell that turns you into a Koopa Troopa. Oh and by the way, blue shell should be before gold shell because BS is rather rare and GS is super rare. This user is friends with World 6. Here is my user box. If someone becomes freinds with me they win a world. 70px Bob-omb-Will explode anything nearby. Don't stand nearby it!! Red Star-Similar to the Wing Cap, but allows more controlled flight. Oh, some more-- Bomb-Similar to a Bob-omb, but will not move like one. Berry-An important part of a Yoshi's diet. Eating enough will give you an item. Propeller Block-Similar to a Propeller Mushroom, but you must hold it tightly and it won't go away when you get hurt. Glow Block-Lights up dark areas. Spinning Heart-Recovers health if you run into it. Sorry for the hiatus but here's some items for the shop! Hint Block-Tells you what to do if you don't know. Vegetable-Will hurt any enemy it touches. 20 + 10 + 10 + 30 = 70 coins! Please present this coupon at our store. Yeey thanks! Here, can you put this in your user box? For us know that you are a worker! Heey, cute YoshiCookie! How are you? Remember Halloween in this month? Take that bag to put your candies inside it! Nice, huh? And cute! Congratulations, you earn a Bag! This user is a friend with Megadardery. If you're a fan of mario try these questions scroll down to "Coins"
Sorry about the late payment! Here the coins! A sweet salary for a sweet worker! This user works at Razzoom´s Friendz Shop! This User also has ________ Friendz Coins! Right now, you get a 10% off all new items, plus a staff bonus of 10%, which makes 20% off for you! Here, dear YoshiCookie! Keep your nice job! Celery, umm I mean... Salary. A cool salary for cool worker! 110 Friendz Coins plus christmas bonus 500 Friendz Coins. The preceding unsigned comment was added by Razzoom (talk). This user wants a Yoshi in his home and loves his food! And of course, a candy! Congratulations, you earned a Candy! Here´s a present. Only open it at christmas. OOH, what could it be? You´ll get a rise of payment! 1000-1010 Friendz Coins per Month. Why? Because I´ve been paying you and the others FAR too little. PS: You will get a Bonus 2013 Friendz Coins with this month´s payment. I have a new Quiz... with great Prizes! Do you know how I could join the Poll Committee? Hi, YoshiCookie, how are you? ^-^ This is a great month to give present to all friends, right? So, this is my gift for you, this year was awesome here in Super Mario Wiki! Congratulations for you and for all your family, I hope you have a sweet 2013 year full of colorful candies! I wish success for you, dear! Merry Christmas and Happy New Year, YoshiCookie! Congratulations, this is your new salary! A nice gift voucher with 500 Friendz Coins on it! 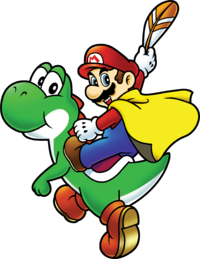 Hey yoshicookie I got a golden mushroom I found it on the way here so take it. ps can I have the 100 coin? You get a free SlyPod as you and 1 other are the chosen ones for testing the SlyPod! To get songs for SlyPod just ask on the talk page and check the SlyPod Store. To test the SlyPod´s sound capabilities, here´s 3 songs. You can put them on your SlyPod for free. Sorry for the late, I forgot (--'). Congratulations, you received your salary! Thank you for your SlyPod feedback. We're currently working on SlyOS 3.0, but we're updating the SlyPods to SlyOS 2.5 Apricot and discussing content for the store. We hope that you will enjoy SlyOS 2.5, which contains a taste of SlyOS 3.0! UPDATE: SlyOS 2.5 Apricot is now up and running on all SlyPods and the SlyPod Simulator. We however could not add your requests to the Store, as we had Copyright issues with the Good Egg Government about uploading their Anthem, and Kersti didn't license it to us. We're very sorry. If you have a Super Mario Boards Account, we'll PM you the Classic Album and the Portagust App soon. UPDATE: We're starting initial tests of SlyOS 2.8 Peach, which will include a more finalized YouTube for SlyOS app and Categories and a better Store UI. UPDATE: SlyOS 2.8 Peach released! Don't worry about it. We're all being a bit crazy today. This user is friends with Mariofan9000! I ripped them from here. Bowser's roar can't be heard there yet, but it's found within the website's coding. Your best bet is to leave a message here on the forums in order for one of the mods to make the necessary changes. Hello, I'm Time Turner. This page was last edited on October 19, 2017, at 12:12.